Track calls made to and from your or your dependent’s mobile and SMS sent or received from your mobile along with the location of the mobile. Use Call and SMS Tracker app to keep track of the calls and sms. Track all the calls made or received and also all the SMS sent or received along with their locations. To check the Calls and SMS, you have to launch the app and click on “View” buttons. No need to turn on the GPS. This application works even without GPS. When GPS is disabled, the application collects location info using GPRS/Wi-Fi and hence the impact on battery is minimal. If you suspect your boyfriend / girlfriend is cheating on you and you want to keep track of the calls made and SMS messages, simply install the hide icon version of the app and keep track of all activities remotely. – You can see your mobile tracks by visiting the website https://callsmstracker.com/ and entering your Email ID and PIN in the Login screen. You need to click on “Get Details” button to pull details from your mobile. Call and SMS details will not be pushed to server automatically. To unhide app icon dial *777* from your mobile dial pad. Please note the location shown in the dashboard is of the mobile in which the app is installed. Its not possible to show location of the caller as the information will not be available to the device. Hi, looks like you are using the old version. Please use the latest version from http://callsmstracker.com website. http://trackingsmartphone.com application try keejiye.. Is app say aap Call SMS track kar sakte hain. It gives the information of the mobile on which the app is installed. It will not have location details of the other person. this is a great app, but is there any way to hide app icon, like your other apps, ie by dialing something like *888* ? is there any way to install it on phone which is not with me. Just try using android free call recorder application and get both sided calls recorded. Hi great job by you! Can you please answer. Does it show details of deleted calls also already installed app in device? Yes. It should show deleted calls and SMS details as well. It Gives tha information of that mobile on which the app is installed . Call SMS Tracker doesnt have hide icon. You can try http://TrackingSmartphone.com app. Thanks a lot for such a wonderful help to people in need of it. Can I scan two phones on one Laptop a nokia Lumia 630 and Iphone 4s for tracking? Hi, Which app you are referring to? WhatsApp? or Call SMS Tracker? 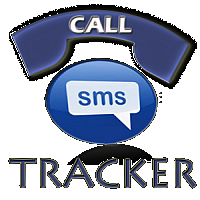 Call SMS Tracker works only on Android Phone. If its whatsapp that you want to track then i suggest use 2 different browsers one for each device. That way the session will not expire. How do I hide the app after installing it? Sorry, old feature phone doesn’t allow apps to record calls in background. Even in iPhone its not possible unless the device is rooted. Do I need to install this app at the targeted phone? Instead of only at my phone?